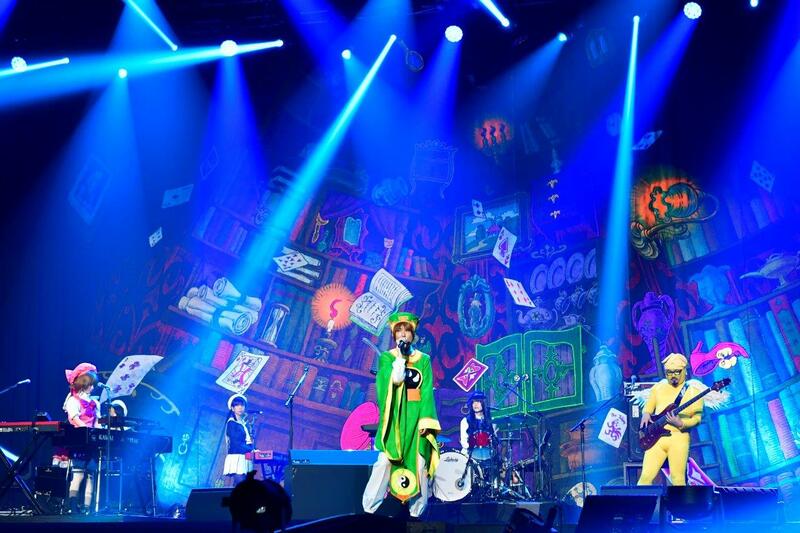 The final day of HALLOWEEN PARTY 2018 showed the same dedication to the Alice in Wonderland theme as the days prior. 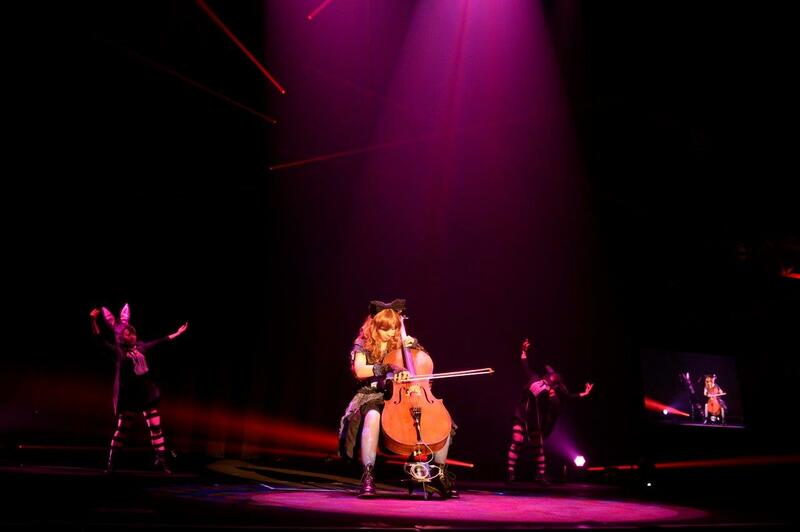 After seemingly falling from the ceiling like Alice down the rabbit hole, Kanon Wakeshima’s haunting performance was perhaps even more stunning than the day before. BREAKERZ was clearly set to outdo DAIGO’s amusing Mission Impossible homage the previous night. 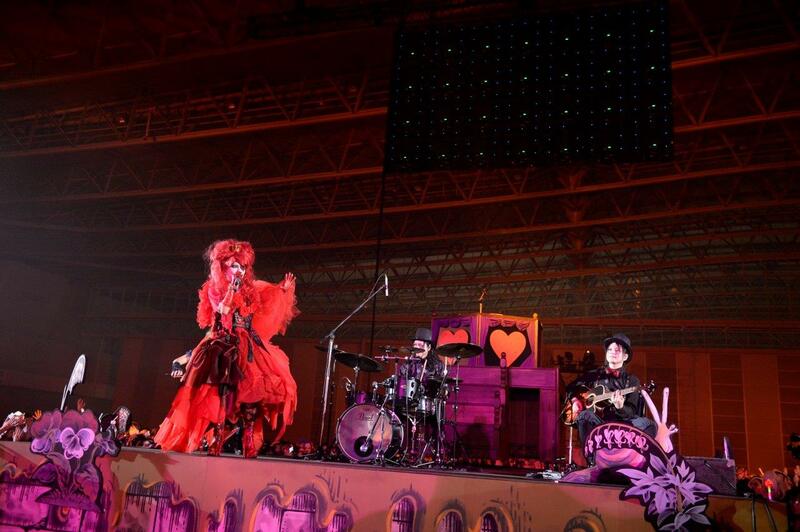 The entire band came out in costumes themed after the NHK drama Segodon. DAIGO was now “DAIGO don”, and had even stuffed his cheeks with castellas – the popular sweet resembling unfrosted cupcakes – in order to more closely resemble the trademark full face of one of the main characters. AKIHIDE was dressed in a lovely white kimono and was being lovingly referred to as AKIHIME (“Princess Aki”). SHINPEI also had a fun new moniker, “Okubo to SHINPEI”. It was an amusing sight, especially when DAIGO admitted to wanting to eat the cakes, asking the audience for permission to do so. “We’re going to do our most violent song tonight!” DAIGO declared before “DESTROY CRASHER”. It was an energetic set. BREAKERZ is always fun to see live, and they continue to deliver exciting sets each HALLOWEEN PARTY. 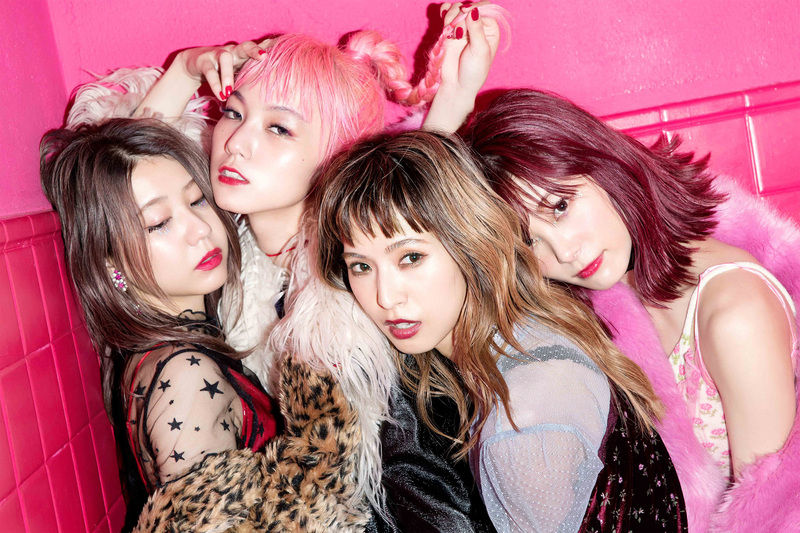 Next up was Gesu no Kiwami Otome, a band that came to deliver diverse tunes from a score of fun genres, including pop, rock, and jazz. The band was dressed in wonderfully accurate costumes inspired by CARDCAPTOR SAKURA, an anime from the 90s that has recently enjoyed a resurgence due to a remake. Well, everyone was accurate save for the guitarist, who made quite the unique Cerberus in his full yellow bodysuit. 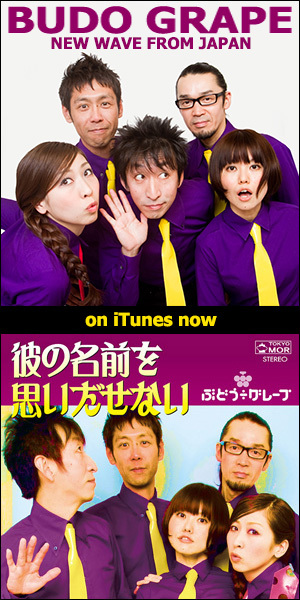 Gesu no Kiwami Otome has a lot to offer anyone with an ear for a group that likes to try it all. 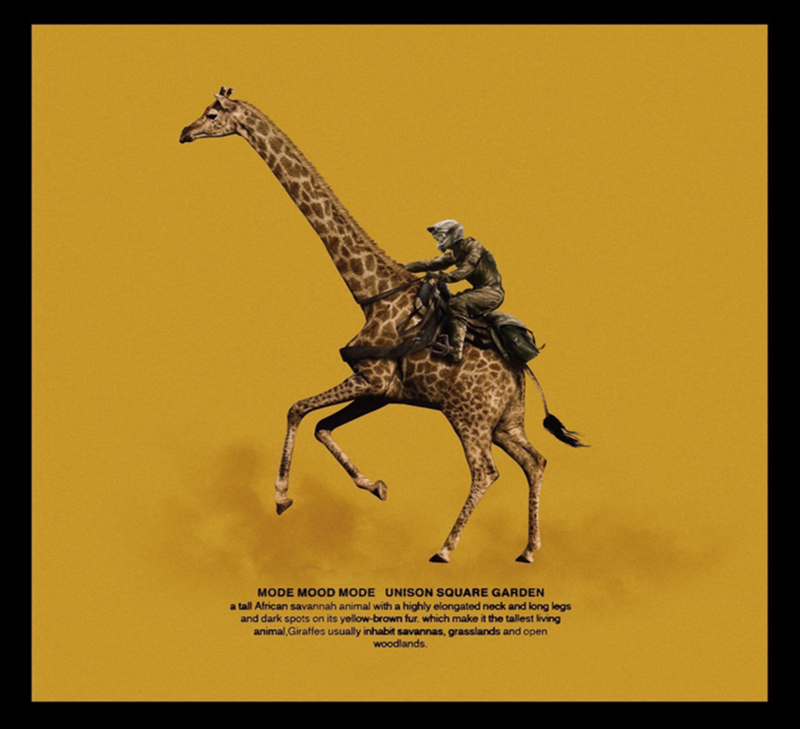 “DOGUMAN” is a great song; a fun mix of dubstep and techno. The piano solo in “KILLER BALL” was delivered with finesse by Chan Mari and ranks up with there with the greats. 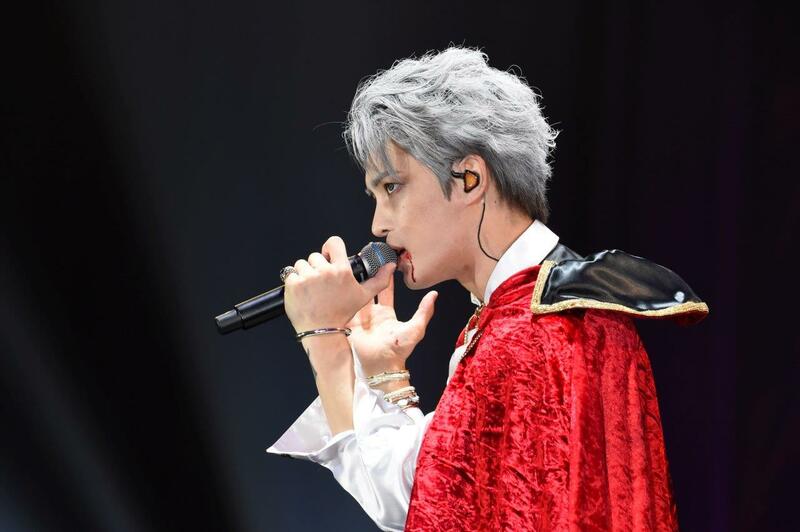 After much anticipation, JAEJOONG took the stage dressed in a charmingly cheesy vampire. 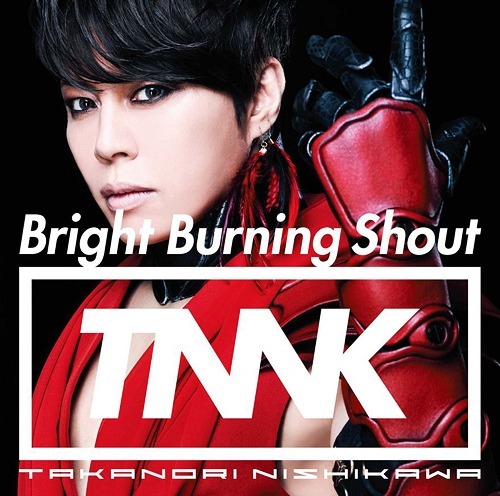 His first song was a soulful rendition of hide’s “PINK SPIDER”. JAEJOONG seemed to struggle with the lyrics only once, but more than made up with it with how passionately he belted out the now-classic. He was a real soldier about it, and didn’t let it phase him, laughing it off to cheers from the crowd. JAEJOONG’s performance of the well-loved “Konayuki” was show-stopping. He has velvety pipes unlike anybody on the scene, and his mesmerizing stage presence reminds me of old-school v-kei vocalists that used to make whole halls hold their breath. He charmed when he chatted with the audience, as well. “Is this event every year?” There was a resounding ‘Yes!’ from the crowd. “Where do you all get into your costumes? … at your hotel?? Don’t you surprise people when you’re on your way here on the train and all?” he asked, laughingly. “I want to come next year, too.” If the way the fans received JAEJOONG was any indication, he very well may be making another appearance at HALLOWEEN PARTY 2019. JAEJOONG went on to do a fantastic rendition of “GLAMOROUS SKY”. His vibrato control is excellent, and he did the last verse a cappella after politely asking the audience not to cheer for him because it made him too nervous to go on. It is obvious why he is so popular; I was blown away by the power and strength of his vocal performance. After JAEJOONG exited, it was time for a brief “Halloween Collection” break so that some of the guest artists could show off their costumes. Tatsuro (MUCC) made an excellent Joker from The Dark Knight film, brandishing a fake machine gun even as he guided MiA (Mejibray) by the hand onto the stage. Hitsugi (GREMLINS, NIGHTMARE) made a very cute Cheshire cat. While ASH DA HERO was the white rabbit once more, his Alice — Yutaka Kyan (Golden Bomber) — had lost her dress and wore just a pink towel. After that amusing reprieve, it was finally time for the main event, and HYDE made a glorious entrance. 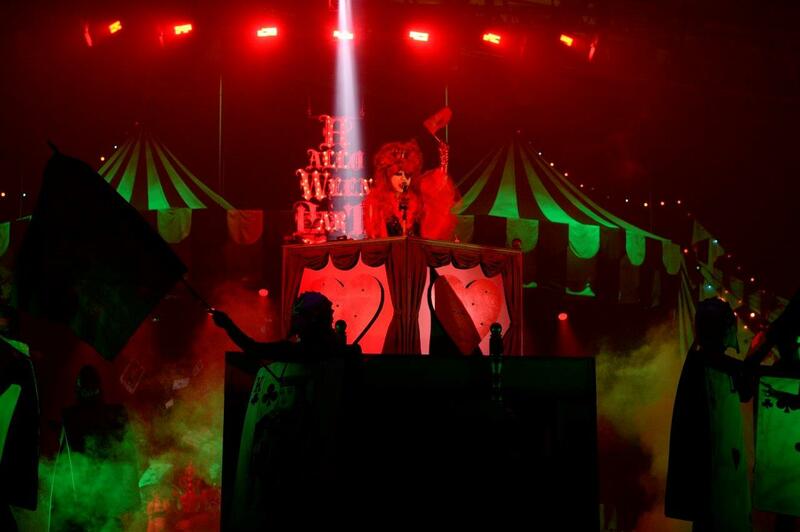 HYDE was lit at the center of the main stage, pounding a gavel on an ornate red lectern to the beat of “HALLOWEEN PARTY”, flanked by card soldiers. 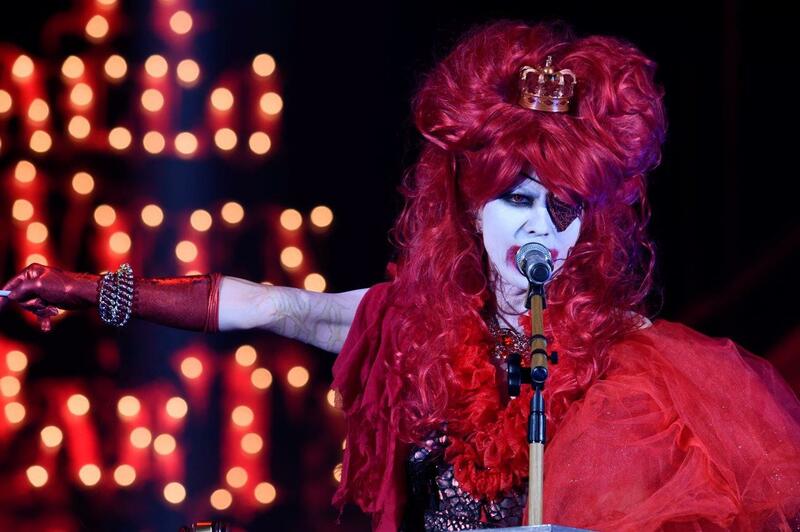 This was a perfect match, as HYDE was decked out in an elaborate imagining of the Queen of Hearts, complete with voluminous skirts and a wig to put the best of Ru Paul’s Drag Race to shame. “HIDE & SEEK”, a cover of Namie Amuro’s song, was the perfect anthem for the queen’s marching guards. The lectern was poised atop a mobile dais that was moved up the catwalk and then wheeled around the venue, like a true monarch surveying her loyal subjects. 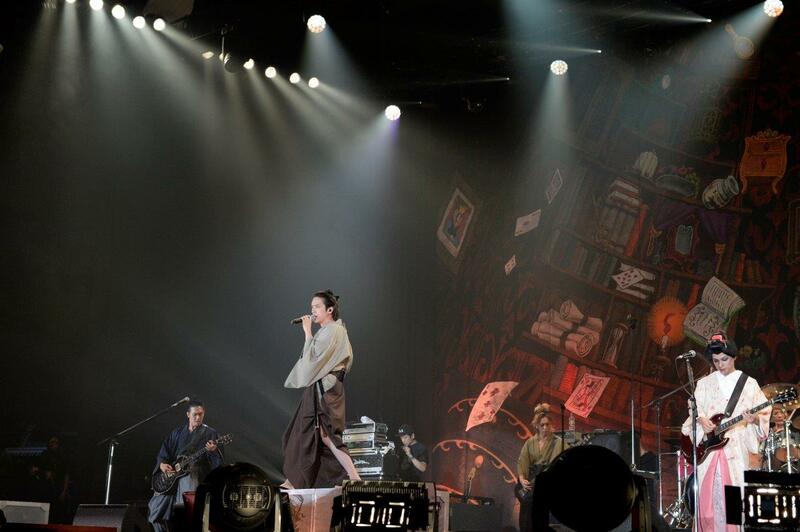 Eventually HYDE made his way to the small stage at the back of Makuhari Messe, where Kanon and surprise guest Sakura (gibkiy gibkiy gibkiy, Rayflower, ZIGZO) were free-styling together. 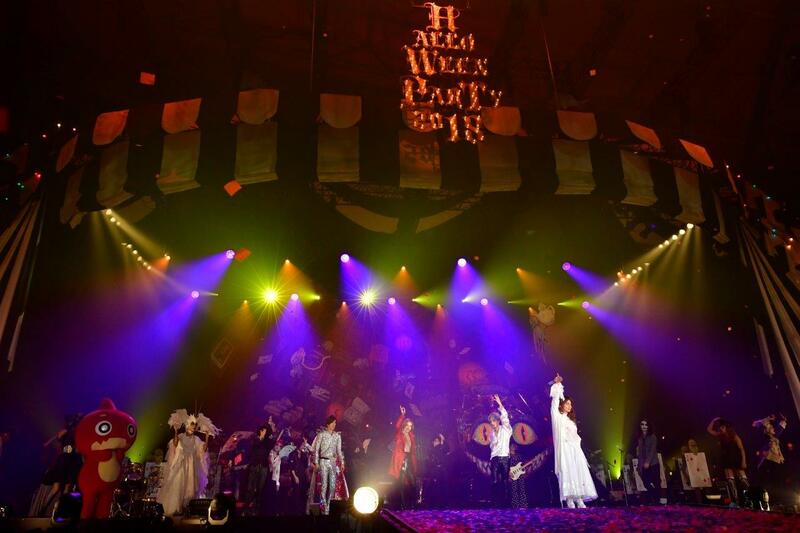 Same as the day prior, HYDE disappeared as ROLLY and DAIGO took the stage with the rest of HALLOWEEN JUNKY ORCHESTRA for a spirited performance of ” SEVENTH HEAVEN”. Kyan Yutaka was hysterical, as he had been given a guitar that he had absolutely no idea what to do with, running around in his quite-a-lot-like-black negligee Alice outfit. 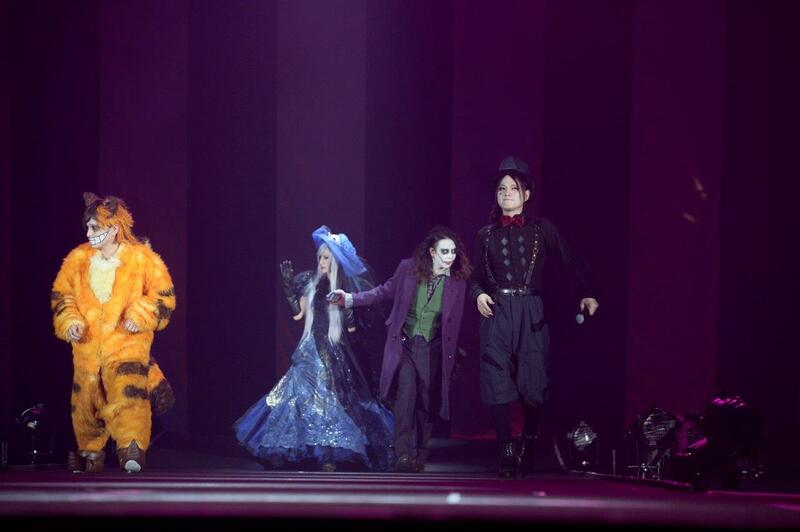 After the venue went dark after DAIGO theatrically seemed to ‘realize’ HYDE was absent, HYDE reappeared at the end of the catwalk in a beautiful costume clearly styled after the White Queen featured in Tim Burton’s Alice in Wonderland. 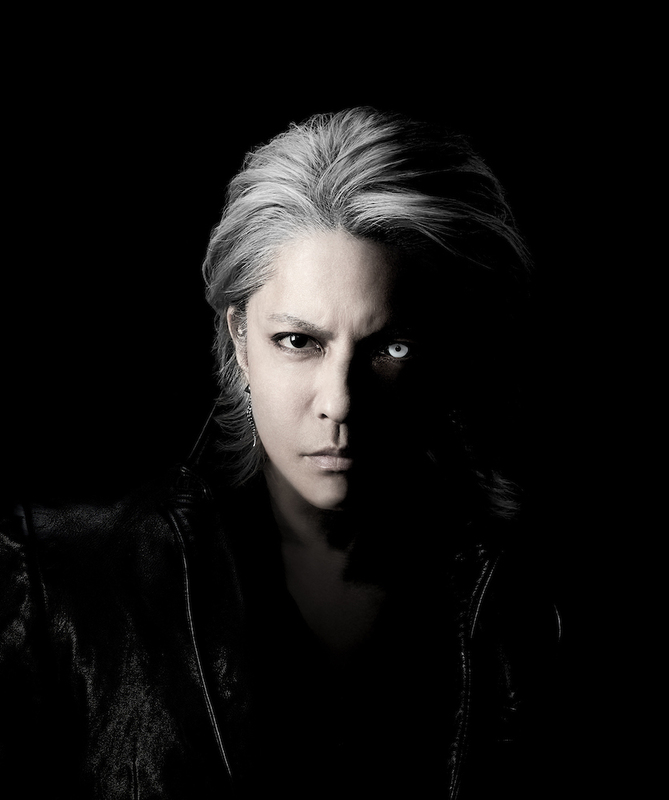 “SET IN STONE” is another new song from HYDE, an arresting ballad that he delivered with the kind of gravitas that makes looking away a non-option. 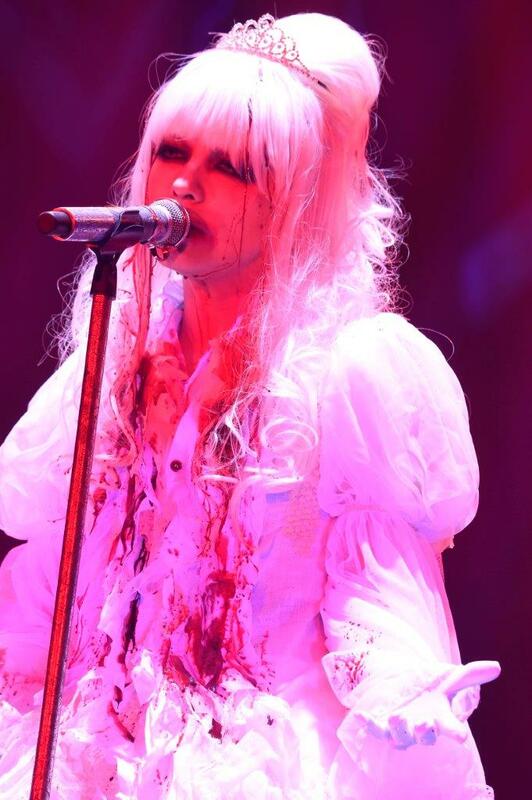 His vocal control was flawless, and it was genuinely terrifying when he suddenly began to bleed profusely from under his long white wig in a dramatic effect that made the whole of Makuhari gasp. 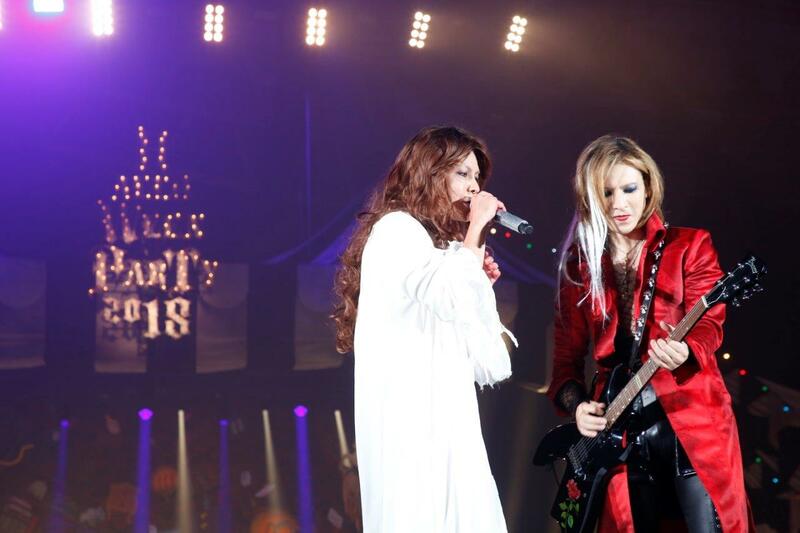 HYDE rejoined YOSHIKI onstage, adjusting his fresh, long brown wig as he looked to the other man as if seeking approval. They were both in recreations of what they resembled upon their debut decades ago. 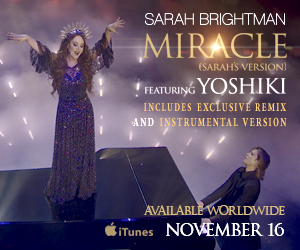 “This is the first time we’re performing together as solo artists,” YOSHIKI pointed out before an absolutely flawless rendition of the best-selling “Red Swan”. YOSHIKI was honest about his feelings about the set list, however. “I’m more nervous about the next song,” he admitted. 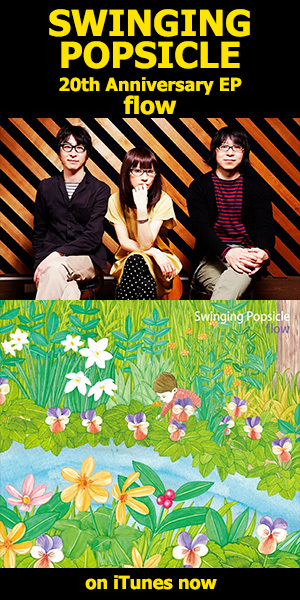 This song was “ZIPANG”, recently announced to feature both artists on its upcoming release on February 6th. “What does ‘ZIPANG’ mean?” YOSHIKI asked. “It’s an old Portuguese or Latin word for Japan,” HYDE explained further. “I’m so nervous!” he laughed, before shifting into a powerful performance of the song. 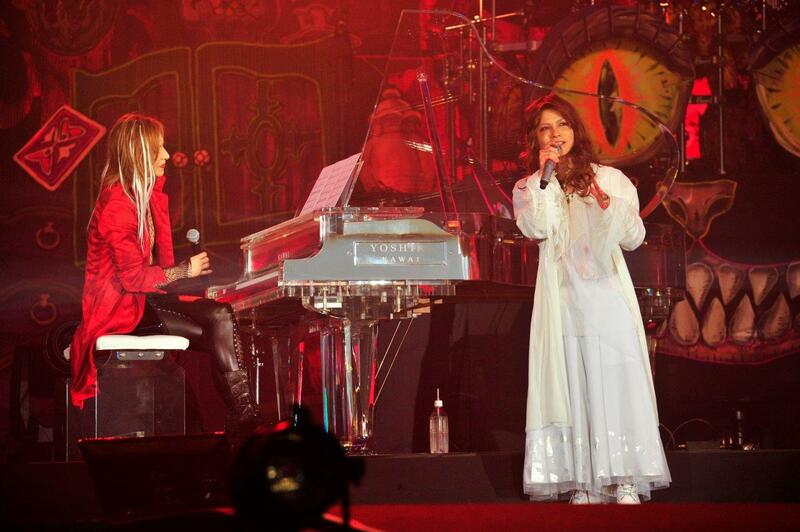 “I’d like to do another song like ‘ZIPANG’,” YOSHIKI said afterward. “There are probably people here who know it,” he hinted, causing the crowd to murmur excitedly before launching into “ENDLESS RAIN”, which HYDE nailed the vocals of. Lyrics faded on and off he monitors to help people sing along. The other artists joined the two onstage before the final round of “HALLOWEEN PARTY” as all the guests tossed candy into the audience. The event has benefited from a renewed focus. The thematic focus and reduced number of guests has given the show new life, and I’m definitely looking forward to next year.